Homepage Media CenterUp to DatePetlas Draws Intense Interest In Mexico! Petlas draws intense interest in Mexico! Intense interest to Petlas does not escape from the attention of Mexicans who resembles our domestic people in terms of both culture and purchasing habits. While we are proud that Petlas branded tires manufactured in Kirsehir are also preferred in Mexico which is at the distance of 12 thousand 260 km from the factory, this situation lay bare the point the brand reached. Neumaticos Muevetierra Company, Mexico Distributor of Starmaxx tires which are used in more than 90 countries and the only tire of Turkey with %100 domestic capital, is the representative of this brand in Mexico. 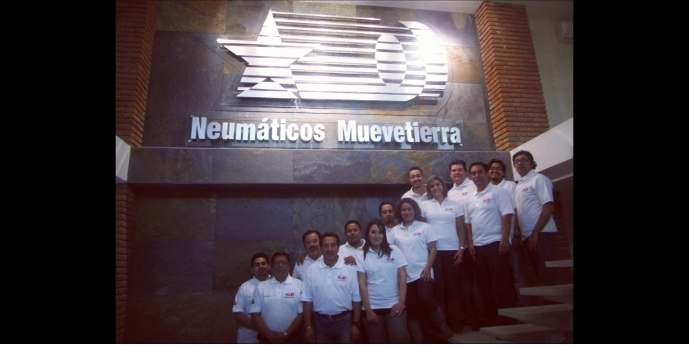 Subjugating all Mexico with its dealers, Neumaticos Muevetierra is one of the reputable companies along Latin American countries. The headquarters of the company, which delivers Petlas & Starmaxx Tires to Mexican users for 6 years, is located at the capital Mexico City having the same name with the country. Family owned Neumaticos Muevetiera (NM) is owned by one of the most rooted families in the country. With its 11 depots throughout the country, New Mexico based NM is doing business at every corner of the country. Neumaticos Muevetierra Company, integrated with Petlas & Starmaxx brands in Mexico, is getting bigger and bigger by adding to its depots. In this way, Neumaticos Muevetierra which meets all Mexico with Petlas & Starmaxx Tires has been continuing its activities in order to support brand awareness by organizing regional activities and attending to fairs throughout the country. Mexico Evaluation of Pedro Lopez. While Pedro Lopez, import manager of Petlas & Starmaxx Tires Mexico Distributor Neumaticos Muevetiera, stated that they were waiting Turkish entrepreneurs who will make investment in Mexico, he also took the attention to its country’s growth rate among other Latin American countries.